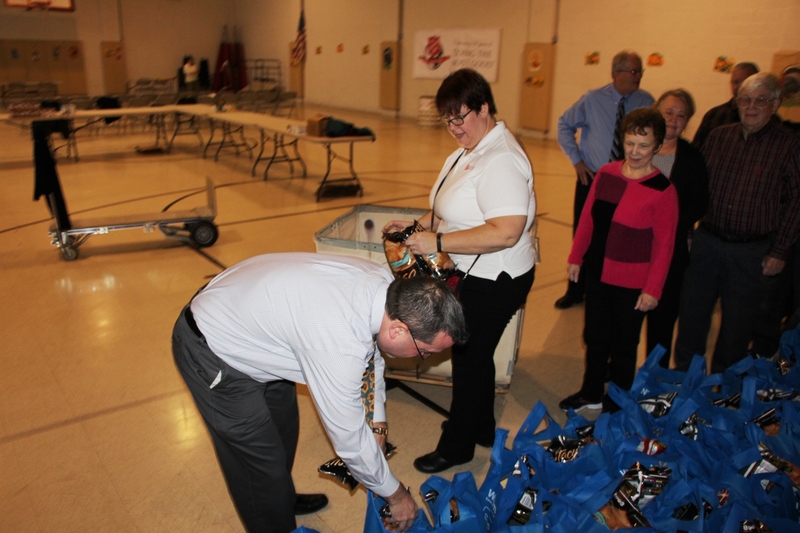 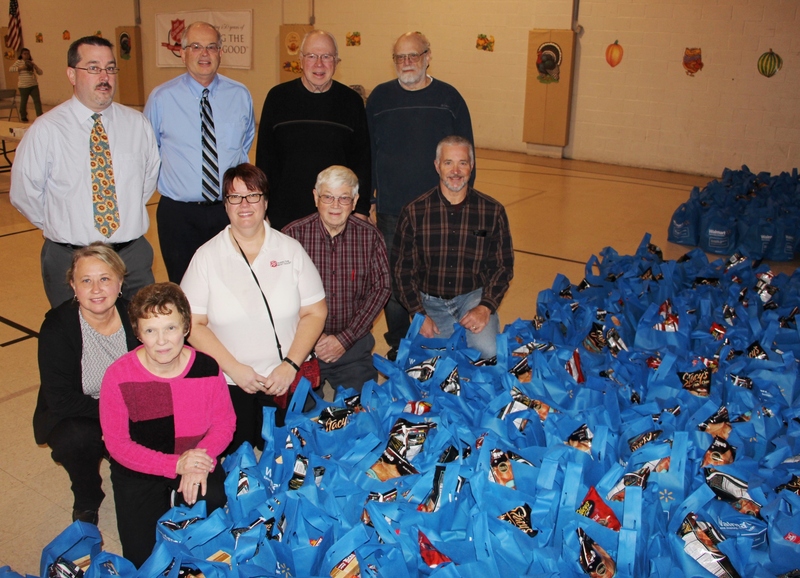 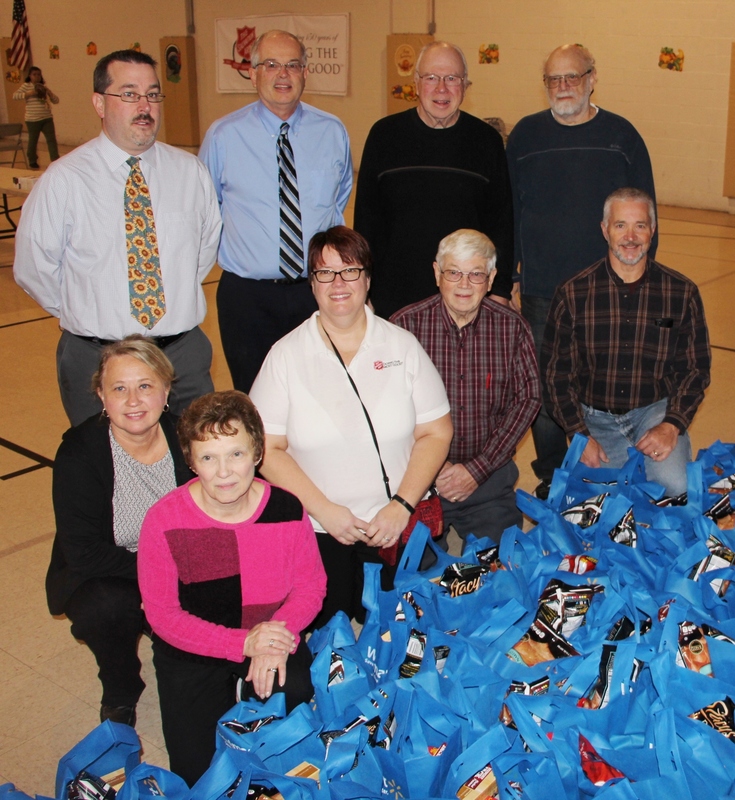 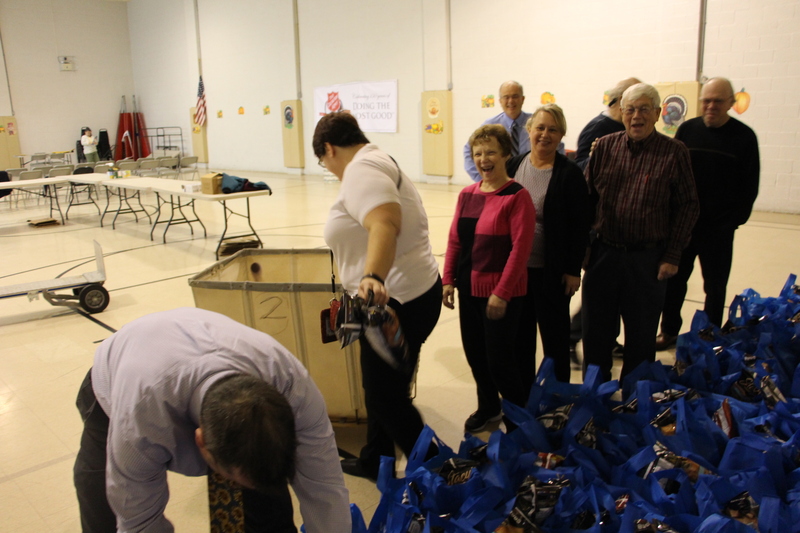 Members of Tamaqua’s Rotary Club spent time recently sorting over 300 bags of food donations in preparation for the Tamaqua Salvation Army’s Thanksgiving Food Basket Distribution on Monday, November 23, 2015. 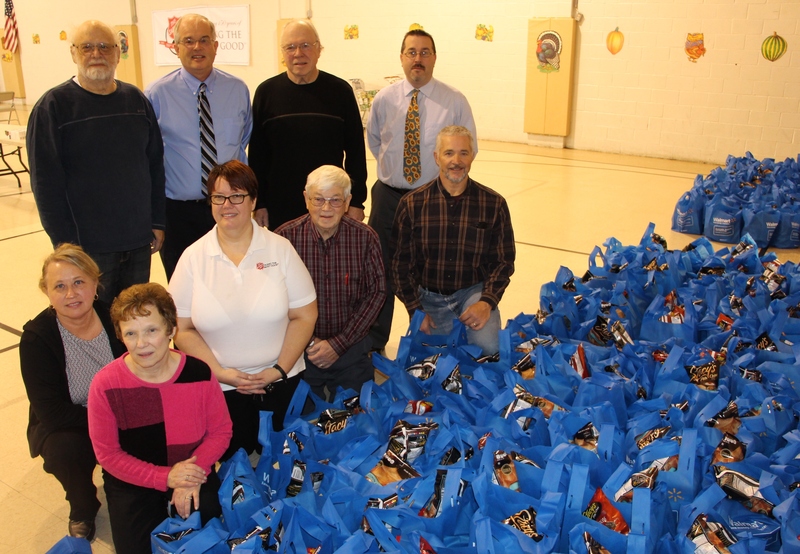 Pictured from front left are Tammy Sword, Susan Deesing, Major Sharon Whispell, Floyd Zimmerman, and Kevin Bailey. 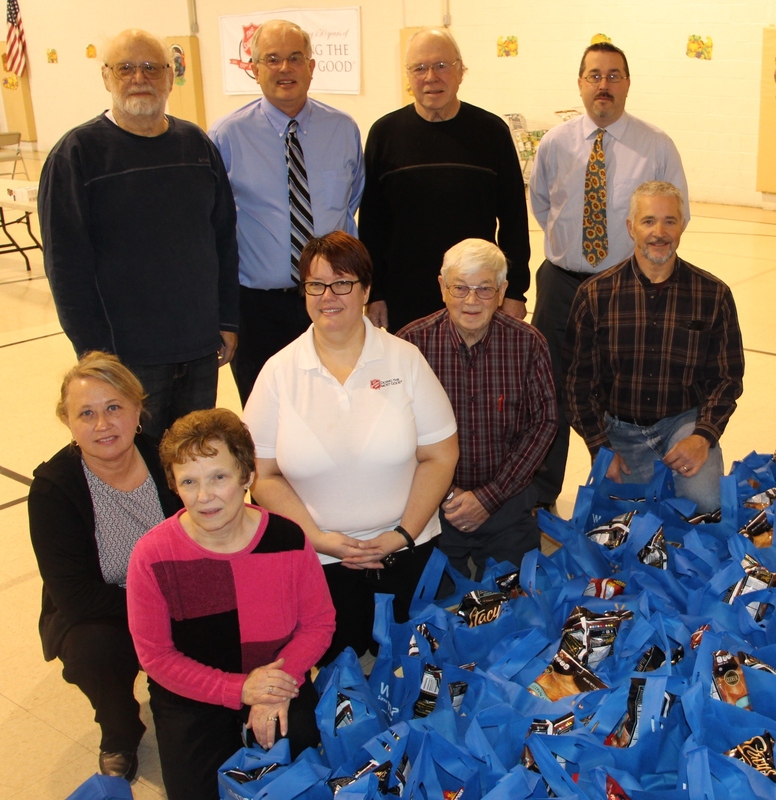 From back left are Richard Hadesty, Lynn Zimmerman, William Donahue and Evan Evans. 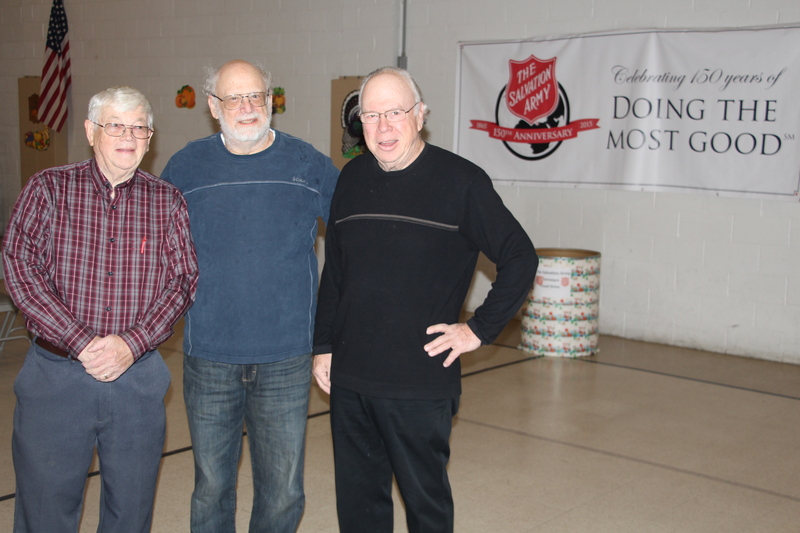 Major Sharon Whispell, Tamaqua Salvation Army, stated her appreciation to the club and pointed out that the club has always been a yearly supporter of many Salvation Army programs.